"Few ingredients, under 3 minutes, and come back to a finished dinner. Fresh rosemary is best, but dried works just fine too." 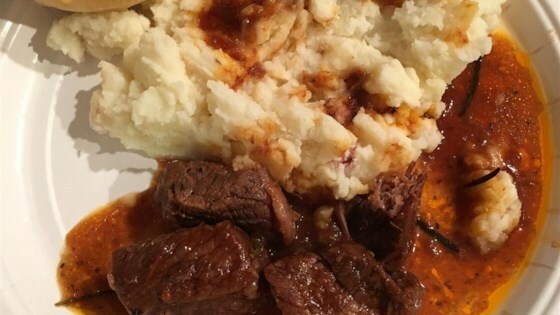 Place short ribs into a slow cooker; top with French onion soup. Season mixture with salt and pepper. Pour chili sauce over exposed parts of ribs; sprinkle with rosemary. Beef short ribs are braised with porcini mushrooms and tomatoes. The sauce was delicious, but if I made it again I'd use boneless ribs. Delicious! I used it with boneless short ribs. It was juicy and very tasty! I added ground pepper and garlic.